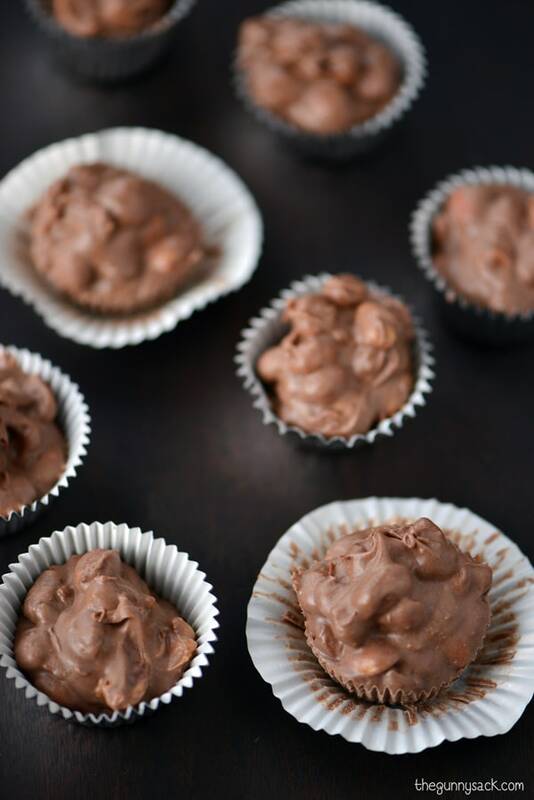 Crock Pot Peanut Clusters with chocolate and butterscotch are so easy to make in a slow cooker. In the spirit of holiday giving, I offered to do some baking for my husband to deliver to some of his favorite clients, his team and his co-workers. Since I am a food blogger, it was a great idea…the only problem is that I forgot that my husband started his Christmas vacation on Friday, so I only had one day to make all of the goodies. After doing a little brainstorming of what holiday cookies to make, I decided to do some multitasking by making a slow cooker dessert. 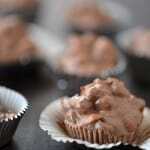 These crock pot peanut clusters with chocolate and butterscotch were cooking, I was able to work on other treats. I also made Peanut Butter Blossoms, Hot Chocolate Cookie Cups, Peppermint Patties, Crispy Peanut Butter Bites and Hershey’s Pretzel Bites. 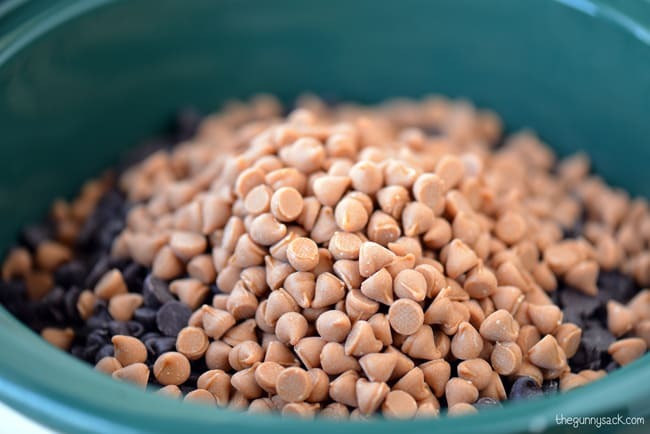 To make the crockpot peanut clusters, start by dumping three 12 ounce cans of Spanish peanuts in the bottom of the crock pot. Many of the grocery stores I visit don’t stock Spanish peanuts so I substitute with cocktail peanuts or party peanuts. 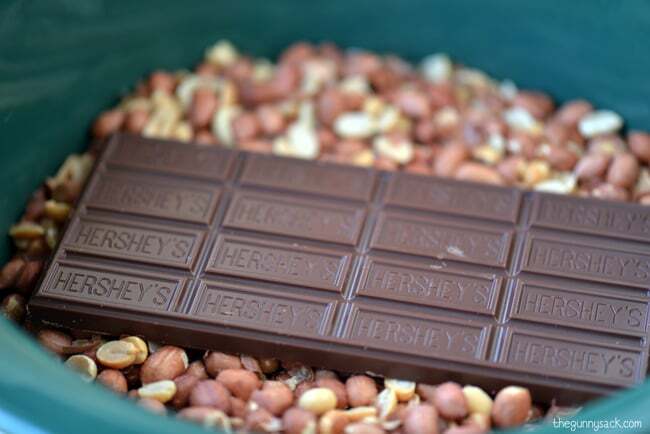 Top the peanuts with one extra large Hershey’s candy bar. 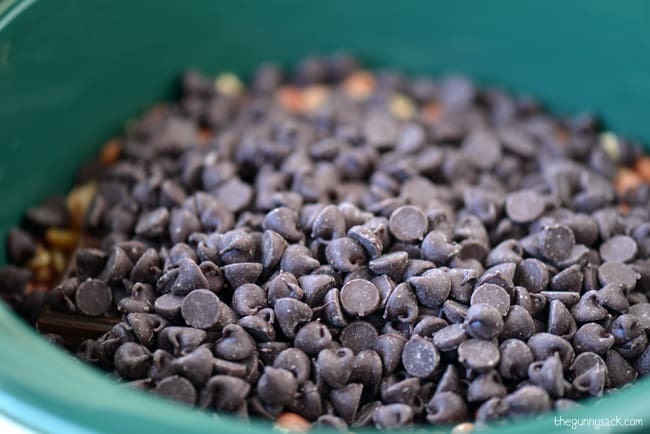 Pour one bag of semi-sweet chocolate chips on top of the Hershey’s bar. 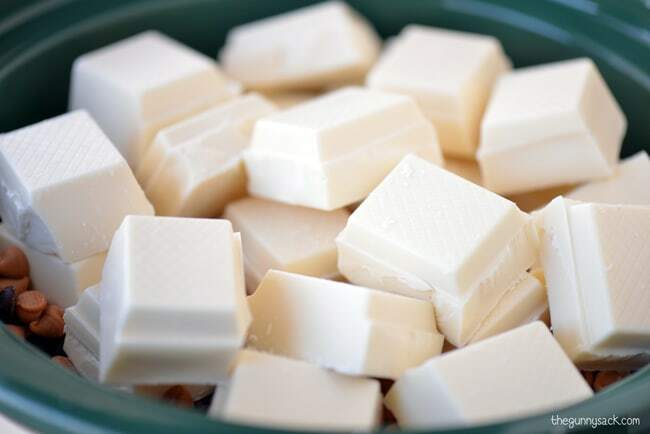 Next, add a bag of butterscotch chips. Finally, top it all with two and a half pounds of vanilla almond bark broken into pieces. Cook it on low for 2 1/2 to 3 hours. This works well if you have an OLD crock pot. The one I used to make this candy was about 20 years old! 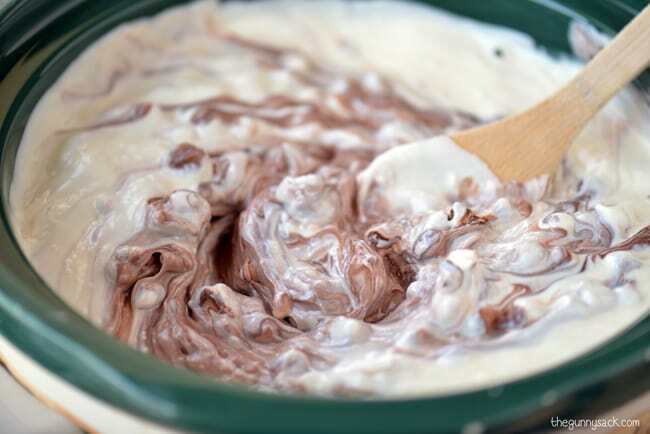 If you cook it that long in a newer crock pot, the peanuts might burn or the chocolate can seize from overheating. If you have a newer crock pot, cook it on low for 1 hour and then stir. Continue cooking for another hour stirring every 15 minutes. Then, stir everything together until combined. 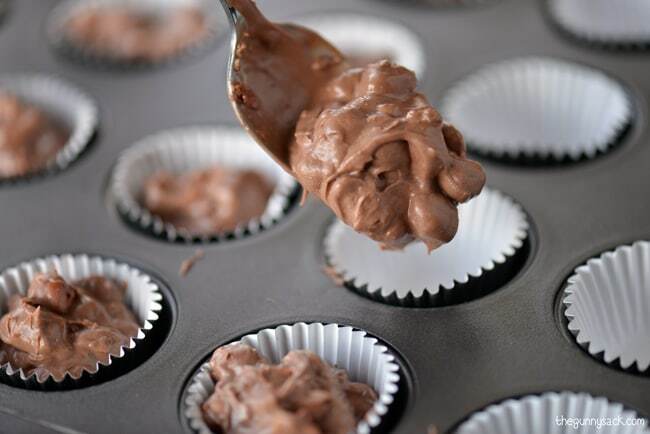 Spoon the mixture into mini baking cups. You can put the liners into a muffin pan to help them keep their shape. 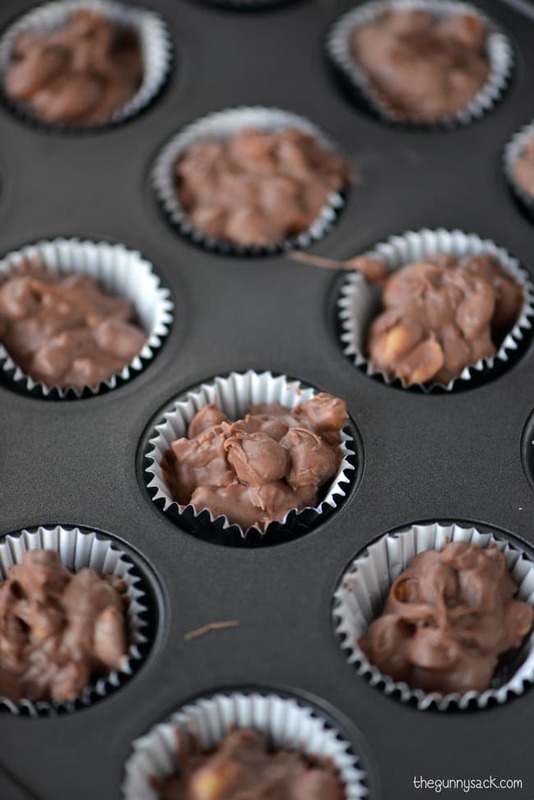 Allow the peanut clusters to set and harden. 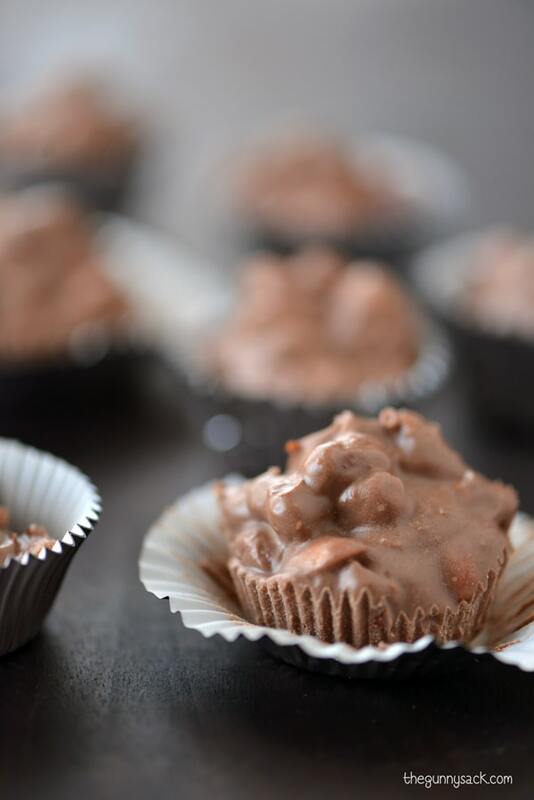 I love that these Crock Pot Peanut Clusters were so easy to make and that the recipe yields about 60 treats! Everyone was delighted with the goodies that my husband delivered, so this might become a yearly tradition. Next time, I need to plan ahead and spread the baking out over several days. 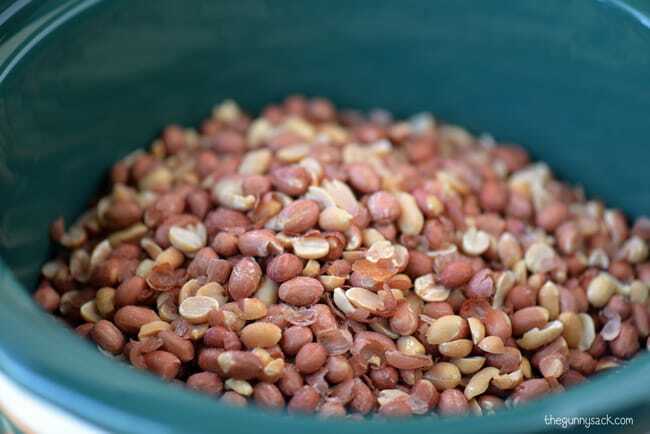 Start by dumping the peanuts in the bottom of the crock pot. Top the peanuts with the Hershey’s candy bar. Finally, top it all with the vanilla almond bark broken into pieces. 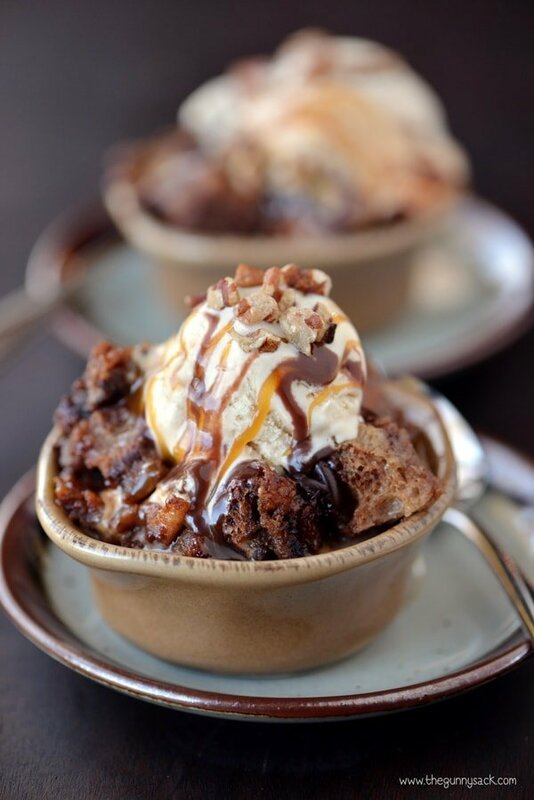 Spoon the mixture into mini baking cups. 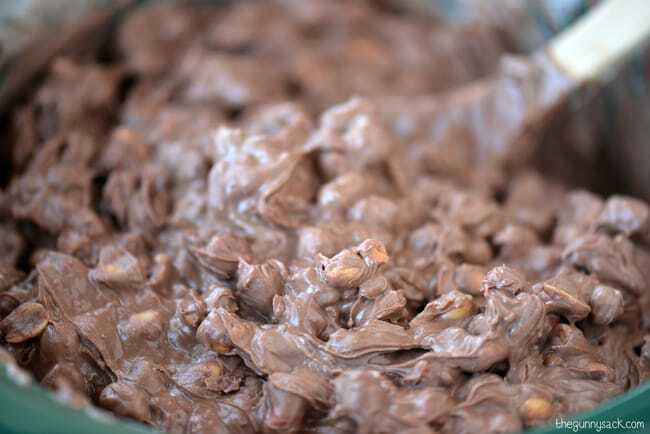 Allow the chocolate clusters to set and harden. Could you use pecans instead of peanuts? I had these at a family Christmas party last year and plan on Mekong them this year. Saw a picture of these with course sea salt lightly sprinkled on top before they set completely! 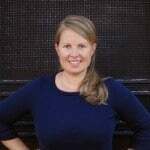 Thank you for the great recipe Tonya, took a note. Sounds wonderful. One question….raw Spanish peanuts or the cooked, salted ones? I used the cooked, salted ones! Oh my god these sound amazing. Mayyyybe a little too dangerous for me though because I’m addicted to both nuts and chocolate so out them together and I’m sure you can imagine the potential for me to eat the lot! Why haven’t I made these before? Oh my YUMM!! Thank you Tonia. Happy Holidays to you and your family. 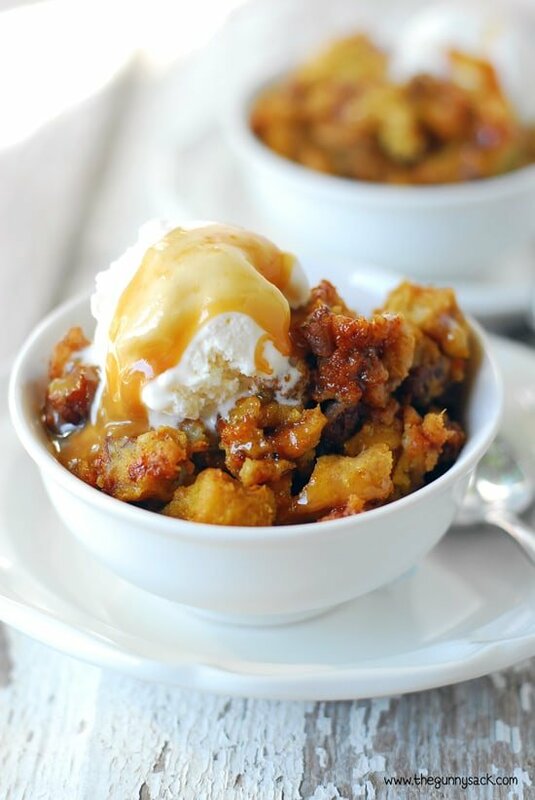 This might be the most insanely spectacular slow cooker recipe ever! I love this easy treat! The chocolate, the peanuts, and that vanilla almond bark! Swoon!